Pinter’s is a name that means tradition. The standards of great business have been handed down through five generations, ensuring the high quality of our flowers and landscaping products we sell. For over 80 years we have adapted or developed many of the innovations that have driven the flower industry. When Grandpa Pinter started his business in 1929, he started as a truck farmer. 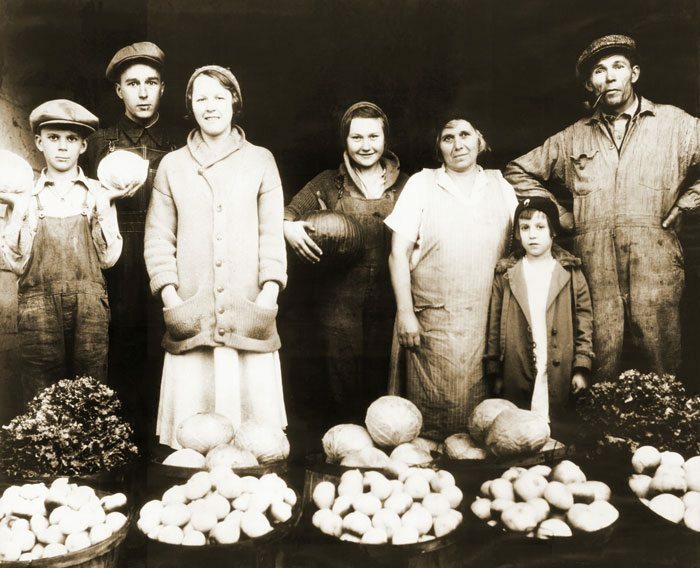 He hauled his produce to the Detroit market and sold what he grew to everyone he met. Today the Pinter family utilizes twelve acres of greenhouse to grow and offer one of the best selections of annuals, perennials, hanging basket varieties, specialty containers, landscaping products, and gardening tools. Being a family owned company has allowed us the ability to offer a selection you won’t be able to find at the bigger nation wide stores. Our family has encouraged each other as we expand our thinking and improve our practices. We want to expand that thinking to include our customers as well, because we believe anyone can be a gardener. What we have to offer will help you on your way to becoming a gardener, and the selections we have will help your garden stand out in your neighborhood. When you buy from us, you buy directly from the grower, so you know the prices are some of the best you will find. Since we grow our own flowers at our own facility it allows us to find and offer a much broader selection. This selections is offered in great number and at two different locations. Belleville houses our home of operations, and Redford holds our seasonal retail store. Each of these stores offers, unquestionably, a selection and quality of products and services that would make Grandpa Pinter proud, and will make you eager to come back to us for all your gardening needs.